Don’t believe everything you read! 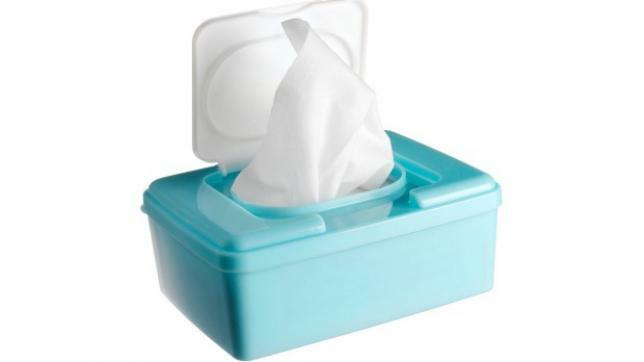 If you use wet wipes at work for whatever reason, believing that they are indeed fine to flush down the loo, you could be doing more harm to the environment than you think. A new BBC investigation has just revealed that all wet wipes marketed and sold as being flushable have failed the water industry’s disintegration tests, despite the fact that manufacturers insist that the tests they carry out are adequate. According to flushable wet wipe brands, sewer blockages are the result of people sending non-flushable wipes into the sewers, but water suppliers say the opposite, explaining that wet wipes simply don’t break down and lead to blockages in pipes which can cost millions to sort out. Wet wipes are apparently behind up to 80 per cent of blockages in our sewers, which can lead to huge fatbergs that cost water companies £100 million a year to deal with. Not only that but skips full to the brim with these wipes are filtered out at treatment works and then end up in landfill later down the line. Wipes that aren’t filtered out can end up in our rivers and on our beaches, which means that the tiny plastic fibres contained within can go on to harm marine life… which may well mean that these fibres end up in the human food chain. In August of this year, a new children’s play area in Hemel Hempstead had to be closed for a couple of days after it was flooded by raw sewage, emerging after a blockage caused by wet wipes and unflushables. According to the BBC, Thames Water says it has to clear five blockages from the network every hour, costing around £12 million to deal with each year… with around 85,000 blockages caused by wipes and cooking fat. Being mindful about what you send down the loo is clearly important if you want to reduce your impact on the environment – and also help protect our water network. By the same token, you can also help to make a difference by prioritising water management. Not only is doing all you can to save water good for the environment and the world as a whole, it can also save you a significant amount of money into the bargain. You can reduce your water usage by recycling rainwater, harvesting it and investing in technology such as dual flush toilets and so on, as well as carrying out a water audit to see if you have any leaks on site. If you’d like to find out more, get in touch with the team here at H2O Building Services today.